Chuck Carnahan and his buddy Randy from Pa. caught almost 40 nice fish in a little over 3 hrs. With lake levels so high the fish have been holding tight to the heavy cover. Fishing will get better and better as the month goes on and the BIG females should start showing up any day now to start the spawning season. 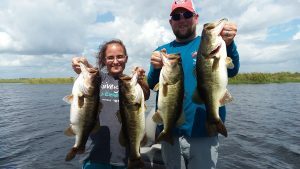 Okeechobee Bass Fishing is on fire and it is time for you to book a trip, the weather is beautiful and the water should start to cool as the weather starts to cool and the fishing will be phenomenal. 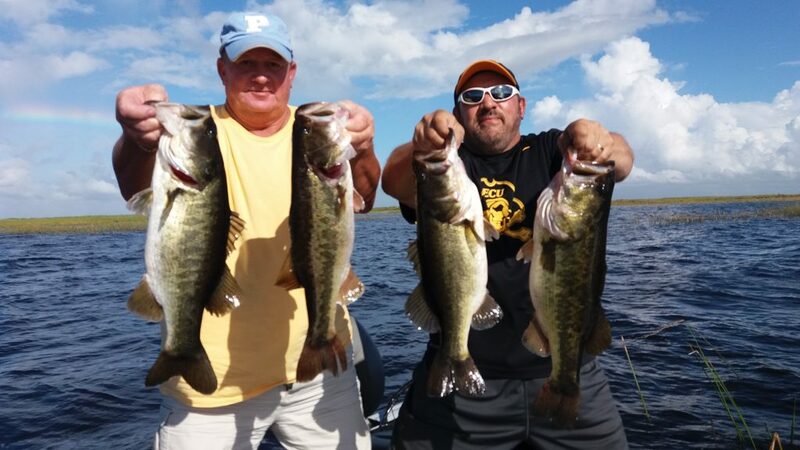 Check out our other Okeechobee Bass Fishing Reports. Yesterday and today I had clients from South Fl. and we had a great time fishing with the Baldubchi Family. Bryan, Cole, Conner, and “Papa” had fun catching 25-35 fish a day although the heat was a little unbearable after 10:30 am. We saw lots of alligators preparing for the upcoming gator season. The fishing has been great the BIG bass are still eating well and the weather has been playing along so far in the mornings. 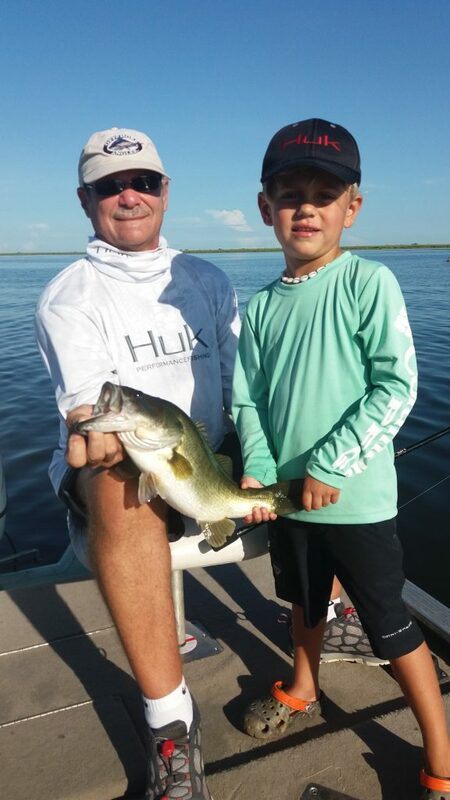 Warm Weather, Warm Water, Big Okeechobee Bass! Super Bowl Sunday and Trophy Bass! John Wason from Ma. caught this giant trophy bass on Super Bowl Sunday using a live wild shiner! He even has on his Patriots sweatshirt. These guys have fished with us every year for the past 12 years, and have caught a lot of big bass in the process.